Though I didn’t watch much of the Super Bowl, I was able to catch some headlines the day following and noticed quite a few comments on how the victorious Philadelphia Eagles’ players were thanking God and His Son Jesus Christ. 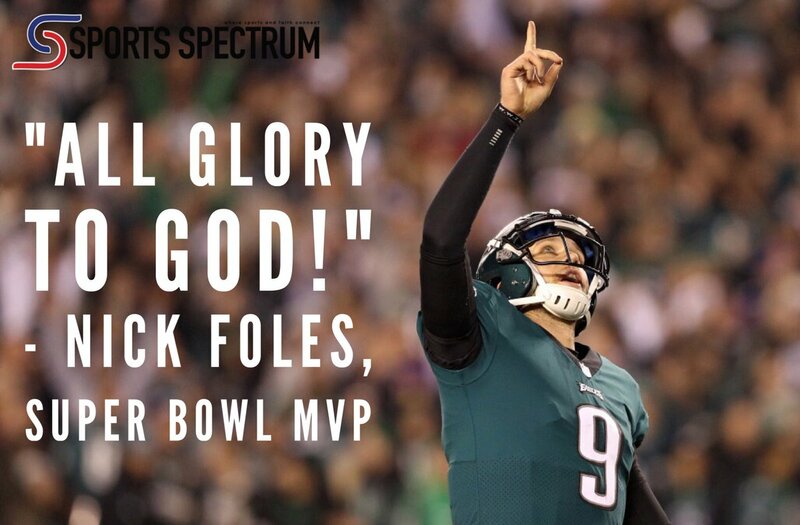 After the game, and receiving the MVP honor, Super Bowl MVP Nick Foles told Dan Patrick of NBC Sports, “Unbelievable, all the glory to God.” Foles recently explained he is currently studying at Liberty University to earn a graduate divinity degree and plans to become a pastor upon retirement. For example, let’s start with the city and state of Pennsylvania’s founder, William Penn. After being imprisoned for his faith in England, Penn set his sights on America to establish what he described as precedent of liberty for the world. "For the Nations want a precedent and my God will Make it (Pennsylvania) the Seed of a Nation,” declared Penn. This, of course, came true as Philadelphia, the state’s capital, became our nation’s capital and was the location in which the unanimous Declaration of Independence was written and signed! Dr. Benjamin Rush, was considered by John Adams to be one of America’s three most notable Founding Fathers. Titled the “Father of American Medicine” while holding multiple university professorships, he was titled, “The Father of Public Schools Under the Constitution,” being an advocate for free public schools for all youth. He was a founding member of America’s first Bible Society, and he helped organize America’s first Anti-Slavery society. His love for the Savior was vividly apparent: “It is only necessary for republicanism to ally itself to the Christian religion to overturn all the corrupted political and religious institutions of the world." So while I don’t believe Jesus won the Super Bowl for the city of Philadelphia this year, I do believe by His providential hand through many of his disciples the stage was set for a free-market society where sports and entertainment can thrive. This is just another reason we should all be grateful to Jesus Christ and His gracious love towards us.